How would you interact with Fextralife? It's been a little over two weeks since we launched Fextralife and we have had a great time seeing many of you contribute articles, visit, share the links and leave comments. I keep finding people who are unaware that they can contribute, so I wanted to clear those up. In short: it's a blog for our community. We are also planning on having streams, and allowing access to this page to members of the community who want to share a game through the site. Everything is still a work in progress as we learn how everything works, so please let us know any suggestions or ideas that you have to make it better or more accessible. I'm just waiting for an Ok to go on with my thing. Once I finish that up, I'll contribute other articles. Maybe show reviews? Sports blog? Who knows? I'd vote but I believe we're all aware of how I'd interact with Fextralife. Get over there and validate my insane ramblings everyone! You know, pretty much like here but there a text wall is just called an "article." [22:25:55] Hatsune Miku : I'll mostly be doing commenting and the like. [22:26:52] Hatsune Miku : I might occassionally submit an artical. 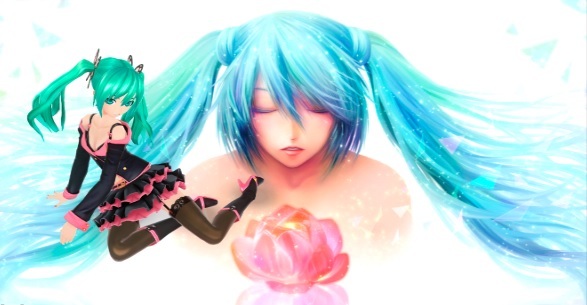 Signature created by me, Hatsune Miku. I've got 2 articles published and a small forum set up. But, the navigation of the site is confusing to me. I'm too used to forum navigation. Things where I can automatically see all new posts or replies to my posts/topics would be nice. Like logging on to here, I can see all the yellow links as new posts and I can see that from the start. I'm used to them being sorted by topic first, then date. It is much easier to sort, in my mind. Plus, it is nice to know which topics I have posted in that have responses. I'm too used to the forum-style organization. The Activity tab shows you the most recent signups, comments, posts, etc. maybe I can create further filters? There's also a "most recent comments" on the site's footer but it is indeed out of the way. I agree with Reim, I go on the Dashboard to check out all the new stuff but it still feels very fragmented. Ok I added a recent comments widget to the sidebar as well as a full page with a list of recent comments. There seems to be no easy way to highlight your unread posts, I will continue to look around but I haven't seen many websites do that, so it may just be that you're used to he forum format. I'm nearly done with the template for retro reviews. I wrote a review concurrent with developing the template to see what sensible categories would be. I'll have it ready very shortly. Is it alright if I wright a review for an old game; Okami; more specifically, Okami, for Playstation 2 and 3, and the Wii version? If so, I call that review as mine! But I'm going to need to read some of other people's articles first to give me an idea of how I should go about it. Then I need time to write/type it out and stuff. Of course. I don't know how long this will take me to do all of this in total; But this is something I've always wanted to review Okami and have it put up as a review. So I'm going to take my time with what I put in there. In other words it will be a while. But as I said earlier. I've called the Okami review first! The Dashboard is non-functional for me. It sits there inert and lifeless. Tell's me that I do not have permission(s) to do anything. Ahhotep1 wrote: The Dashboard is non-functional for me. It sits there inert and lifeless. Tell's me that I do not have permission(s) to do anything. I think you gotta have Fex give you a little + sign in the top left of your screen. Supposedly, she did...maybe not, then. Thanks Pendant. I've recently jumped into writing a lot. I think I will try this out. We shall fight until the day Izalith is brought back from its suffering. Until then, we shall suffer to bring back its glory. I also created a Recently Posted page so you can see the new content easier when you are already familiar with the site. If anyone else has ideas or suggestions please write them here! Could you announce on the forum banner, or some other conspicuous place (like a post-it on my forehead) when you will be streaming on FextraLife. I missed the stream earlier today. My email should have notified me put I didn't have it loaded. This is the thread that will be bumped when we go live with one of the streams!